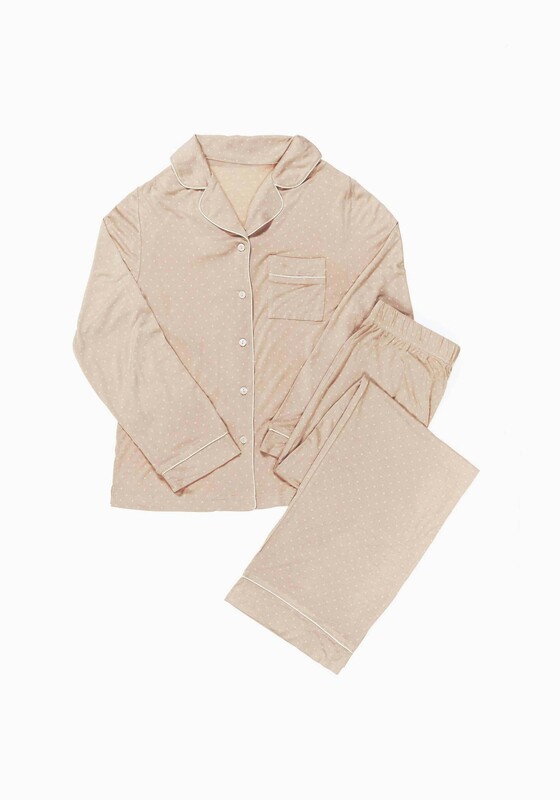 get a pajama upgrade with this viscose pj set. this classic menswear-inspired pajama's feminine fit lets you relax in style and keeps you comfortable all night long. perfect for gifting. pant: elastic waist with satin drawstring, regular rise, inseam 31"
model is wearing a size medium pajama set.